My name is Marissa and I am the new Program Coordinator here at Urban Roots. Last month, in honor of Dr. Martin Luther King Jr. we had two volunteer days where over 80 community members gathered to work with us to build community and reflect on his legacy. Our days opened with us meditating on four of his quotes that spoke of humanity’s obligation to ensure our fellow world citizens have the ability to live a full, safe, and dignified life. 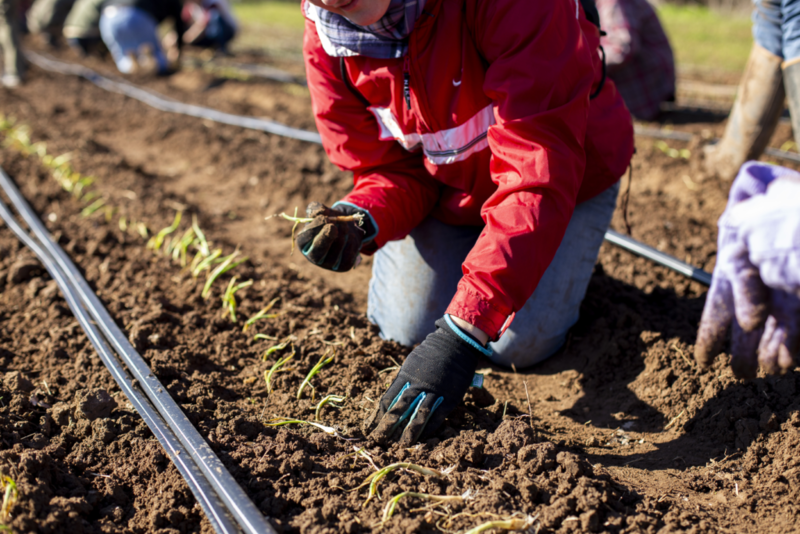 Together we planted hundreds of onion and leek transplants, seeded spring crops, shouted cheers, and played games. We see our work of feeding the most vulnerable of our population, courageously caring for our planet in an era of environmental destruction, and investing in our young leaders as a continuation of what Dr. King started almost 70 years ago. It was an incredible weekend and I am so grateful for the all the connections that were made. I hope one day you will join us out in the fields!